The data warehouse architecture is based on a relational database management system server that functions as the central repository for informational data. 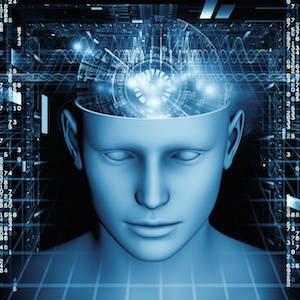 Operational data and processing is completely separated from data warehouse processing. This central information repository is surrounded by a number of key components designed to make the entire environment functional, manageable and accessible by both the operational systems that source data into the warehouse and by end-user query and analysis tools. Typically, the source data for the warehouse is coming from the operational applications. As the data enters the warehouse, it is cleaned up and transformed into an integrated structure and format. The transformation process may involve conversion, summarization, filtering and condensation of data. 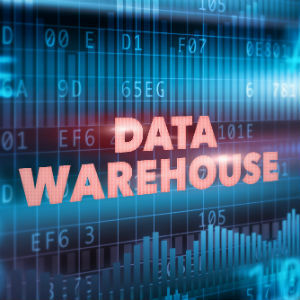 Because the data contains a historical component, the warehouse must be capable of holding and managing large volumes of data as well as different data structures for the same database over time. multiprocessors or SMP, massively parallel processors or MPP, and/or clusters of uni- or multiprocessors). An innovative approach to speed up a traditional RDBMS by using new index structures to bypass relational table scans. Multidimensional databases (MDDBs) that are based on proprietary database technology; conversely, a dimensional data model can be implemented using a familiar RDBMS. Multi-dimensional databases are designed to overcome any limitations placed on the warehouse by the nature of the relational data model. MDDBs enable on-line analytical processing (OLAP) tools that architecturally belong to a group of data warehousing components jointly categorized as the data query, reporting, analysis and mining tools. A significant portion of the implementation effort is spent extracting data from operational systems and putting it in a format suitable for informational applications that run off the data warehouse. Database heterogeneity. DBMSs are very different in data models, data access language, data navigation, operations, concurrency, integrity, recovery etc. Data heterogeneity. This is the difference in the way data is defined and used in different models – homonyms, synonyms, unit compatibility (U.S. vs metric), different attributes for the same entity and different ways of modeling the same fact. These tools can save a considerable amount of time and effort. However, significant shortcomings do exist. For example, many available tools are generally useful for simpler data extracts. Frequently, customized extract routines need to be developed for the more complicated data extraction procedures. Technical meta data, which contains information about warehouse data for use by warehouse designers and administrators when carrying out warehouse development and management tasks. Business meta data, which contains information that gives users an easy-to-understand perspective of the information stored in the data warehouse. Equally important, meta data provides interactive access to users to help understand content and find data. One of the issues dealing with meta data relates to the fact that many data extraction tool capabilities to gather meta data remain fairly immature. Therefore, there is often the need to create a meta data interface for users, which may involve some duplication of effort. Meta data management is provided via a meta data repository and accompanying software. Meta data repository management software, which typically runs on a workstation, can be used to map the source data to the target database; generate code for data transformations; integrate and transform the data; and control moving data to the warehouse. As user’s interactions with the data warehouse increase, their approaches to reviewing the results of their requests for information can be expected to evolve from relatively simple manual analysis for trends and exceptions to agent-driven initiation of the analysis based on user-defined thresholds. The definition of these thresholds, configuration parameters for the software agents using them, and the information directory indicating where the appropriate sources for the information can be found are all stored in the meta data repository as well. The principal purpose of data warehousing is to provide information to business users for strategic decision-making. These users interact with the data warehouse using front-end tools. Many of these tools require an information specialist, although many end users develop expertise in the tools. Tools fall into four main categories: query and reporting tools, application development tools, online analytical processing tools, and data mining tools. Query and Reporting tools can be divided into two groups: reporting tools and managed query tools. Reporting tools can be further divided into production reporting tools and report writers. Production reporting tools let companies generate regular operational reports or support high-volume batch jobs such as calculating and printing paychecks. Report writers, on the other hand, are inexpensive desktop tools designed for end-users. Managed query tools shield end users from the complexities of SQL and database structures by inserting a metalayer between users and the database. These tools are designed for easy-to-use, point-and-click operations that either accept SQL or generate SQL database queries. Often, the analytical needs of the data warehouse user community exceed the built-in capabilities of query and reporting tools. In these cases, organizations will often rely on the tried-and-true approach of in-house application development using graphical development environments such as PowerBuilder, Visual Basic and Forte. These application development platforms integrate well with popular OLAP tools and access all major database systems including Oracle, Sybase, and Informix. OLAP tools are based on the concepts of dimensional data models and corresponding databases, and allow users to analyze the data using elaborate, multidimensional views. 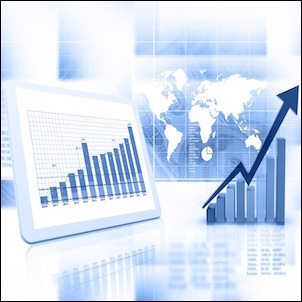 Typical business applications include product performance and profitability, effectiveness of a sales program or marketing campaign, sales forecasting and capacity planning. These tools assume that the data is organized in a multidimensional model. A critical success factor for any business today is the ability to use information effectively. Data mining is the process of discovering meaningful new correlations, patterns and trends by digging into large amounts of data stored in the warehouse using artificial intelligence, statistical and mathematical techniques. 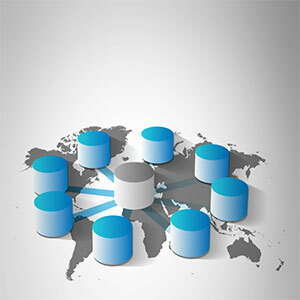 The concept of a data mart is causing a lot of excitement and attracts much attention in the data warehouse industry. Mostly, data marts are presented as an alternative to a data warehouse that takes significantly less time and money to build. However, the term data mart means different things to different people. A rigorous definition of this term is a data store that is subsidiary to a data warehouse of integrated data. The data mart is directed at a partition of data (often called a subject area) that is created for the use of a dedicated group of users. A data mart might, in fact, be a set of denormalized, summarized, or aggregated data. Sometimes, such a set could be placed on the data warehouse rather than a physically separate store of data. In most instances, however, the data mart is a physically separate store of data and is resident on separate database server, often a local area network serving a dedicated user group. Sometimes the data mart simply comprises relational OLAP technology which creates highly denormalized dimensional model (e.g., star schema) implemented on a relational database. The resulting hypercubes of data are used for analysis by groups of users with a common interest in a limited portion of the database. These types of data marts, called dependent data marts because their data is sourced from the data warehouse, have a high value because no matter how they are deployed and how many different enabling technologies are used, different users are all accessing the information views derived from the single integrated version of the data. Unfortunately, the misleading statements about the simplicity and low cost of data marts sometimes result in organizations or vendors incorrectly positioning them as an alternative to the data warehouse. This viewpoint defines independent data marts that in fact, represent fragmented point solutions to a range of business problems in the enterprise. This type of implementation should be rarely deployed in the context of an overall technology or applications architecture. Indeed, it is missing the ingredient that is at the heart of the data warehousing concept — that of data integration. Each independent data mart makes its own assumptions about how to consolidate the data, and the data across several data marts may not be consistent. Moreover, the concept of an independent data mart is dangerous — as soon as the first data mart is created, other organizations, groups, and subject areas within the enterprise embark on the task of building their own data marts. As a result, you create an environment where multiple operational systems feed multiple non-integrated data marts that are often overlapping in data content, job scheduling, connectivity and management. In other words, you have transformed a complex many-to-one problem of building a data warehouse from operational and external data sources to a many-to-many sourcing and management nightmare. Data warehouses tend to be as much as 4 times as large as related operational databases, reaching terabytes in size depending on how much history needs to be saved. They are not synchronized in real time to the associated operational data but are updated as often as once a day if the application requires it. In addition, almost all data warehouse products include gateways to transparently access multiple enterprise data sources without having to rewrite applications to interpret and utilize the data. Furthermore, in a heterogeneous data warehouse environment, the various databases reside on disparate systems, thus requiring inter-networking tools. The need to manage this environment is obvious. Managing data warehouses includes security and priority management; monitoring updates from the multiple sources; data quality checks; managing and updating meta data; auditing and reporting data warehouse usage and status; purging data; replicating, subsetting and distributing data; backup and recovery and data warehouse storage management. 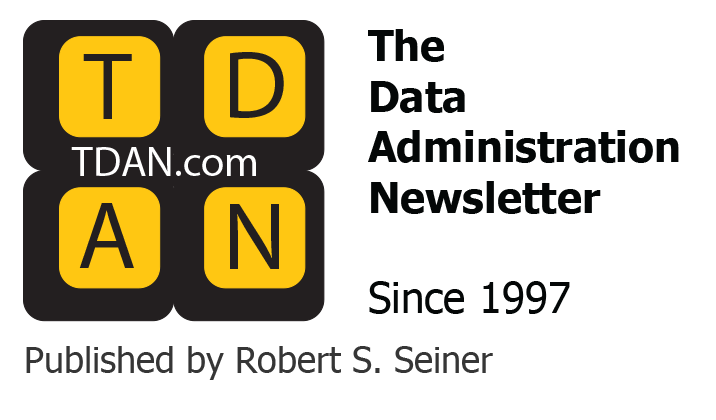 The information delivery component is used to enable the process of subscribing for data warehouse information and having it delivered to one or more destinations according to some user-specified scheduling algorithm. In other words, the information delivery system distributes warehouse-stored data and other information objects to other data warehouses and end-user products such as spreadsheets and local databases. Delivery of information may be based on time of day or on the completion of an external event. The rationale for the delivery systems component is based on the fact that once the data warehouse is installed and operational, its users don’t have to be aware of its location and maintenance. All they need is the report or an analytical view of data at a specific point in time. With the proliferation of the Internet and the World Wide Web such a delivery system may leverage the convenience of the Internet by delivering warehouse-enabled information to thousands of end-users via the ubiquitous world wide network. In fact, the Web is changing the data warehousing landscape since at the very high level the goals of both the Web and data warehousing are the same: easy access to information. The value of data warehousing is maximized when the right information gets into the hands of those individuals who need it, where they need it and they need it most. However, many corporations have struggled with complex client/server systems to give end users the access they need. The issues become even more difficult to resolve when the users are physically remote from the data warehouse location. The Web removes a lot of these issues by giving users universal and relatively inexpensive access to data. Couple this access with the ability to deliver required information on demand and the result is a web-enabled information delivery system that allows users dispersed across continents to perform a sophisticated business-critical analysis and to engage in collective decision-making.